Download the fully functional software without charge or obligation. Use it all you want for a trial period of 30 days. Only after you have verified that it measures up to your expectations do you pay the purchase price for a permanent license. The trial version is fully functional and it contains complete documentation in on-line help. If you have questions during your evaluation period and have not found the answer in the on-line help file, don't hesitate to contact us by e-mail. Limitations and Restrictions: The trial is for evaluation only. While it contains all functions and features of the full version, the trial will not allow you to create large complex diagrams, plus it will add a tiny note on printed output that will not appear on the full version. Feel free to share this trial version install file with friends and colleagues. You may make identical copies and distribute them, but you may not make any modifications and you may not charge recipients any fees direct or indirect for the software. 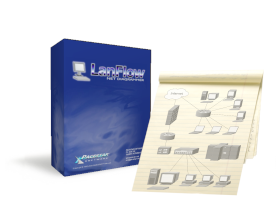 You may link to this page or directly to the install file from your web page, but you must represent it accurately as a free 30-day trial for the purpose of evaluating the software for purchase. Other uses require written permission.